It’s more important to focus on your health as a whole, and how making smart health choices in several areas of your life can provide multiple benefits. It’s National Nutrition Month®, so to inspire you to live a more vibrant life each day, here are some nutritionist approved tips you can start to work into your own routines today. Practicing them daily will create a healthier (and happier) you in no time! Here is to your healthy eating journey! Plants contain fiber, vitamins, minerals, and antioxidants that don’t just keep you full and healthy, but also satisfy your cells’ needs for quality nutrients they can put to use to fuel your metabolism better. Plants are also less inflammatory to the body which helps prevent disease that can slow your body down. Busy schedules, exciting nights out and stress can all keep you from getting the rest you need, but this comes with a huge price. To keep your digestive organs, hormones, and your brain working like they should, your body has to have a reset. Think of sleeping just like working out – it works around the clock for you to improve all other areas of your life. Put it in your calendar just like you would a meeting and make it happen! Since we depend on food to provide us with calories for energy, we should put those calories to use. Get moving by taking a walk, going for a jog, doing some yoga or taking a class at your local gym. When you move, you improve your mental health, physical health, and your longevity at the same time. It’s a win-win! 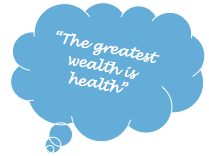 Preventive medicine is defined as the part of medicine engaged with preventing disease rather than curing it. 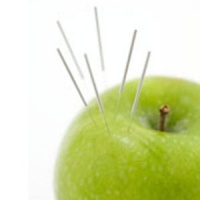 Nutrition is considered the first line of defense in acupuncture and Oriental medicine as it provides the energy needed for the body to function. Good nutrition not only provides energy, it also provides the basic building blocks, vitamins, minerals and antioxidants that keep the body healthy and vibrant. Would you like to learn more about how acupuncture can help with your nutrition and weight management goals to reclaim your health and vitality? Call our office for your FREE AcuHealth Discovery Session! CLICK HERE To Download Our March Newsletter!